Do you have a 1931 penny? Maybe you have one of the rare 1931-S wheat pennies and want to know what it’s worth. As you’ll find out in this article, 1931 wheat pennies are scarce — and some are quite valuable! 1931 pennies were made during some of the toughest years of the Great Depression. The Great Depression was a prolonged period of severe economic troubles that affected virtually every aspect of life for most Americans. It was a time of economic woes that symbolically began with the Stock Market Crash in 1929 and lasted until the start of America’s involvement in World War II in 1941. Life was difficult for most Americans during the early 1930s. So bad, in fact, the economy didn’t really need many new coins in circulation at the time. You guessed it: Lincoln wheat pennies! The year 1931 saw the production of millions of Lincoln pennies, though not quite as many as were usually made. All told, there were “just” 24.7 million 1931 Lincoln cents struck. Sure, that might still seem like a big number. But compare that figure to the 277.1 million pennies made in 1929 or 247.5 million pennies produced in 1934 (the year when the economy showed the first hints of real vitality) and the production of only 24.7 million pennies suddenly begins looking rather anemic. 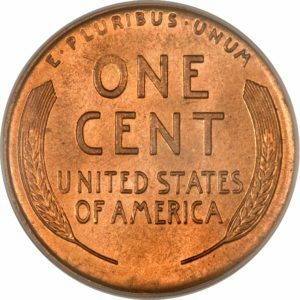 As you’ll find out below in the mintage numbers for each of the 1931 one-cent issues, 1931 pennies as a whole are considered relatively scarce. But the really scarce 1931 penny issue was the one made at the San Francisco Mint! A mere 866,000 pennies were struck there in 1931. This distinguishes the 1931-S penny as a semi-key cent that is comparatively difficult to locate as compared to most other Lincoln pennies. Some even regard the 1931-S penny as a rare date. It’s certainly the most expensive 1931 penny of all made that year — which includes the 1931 Philadelphia (no mintmark) penny and 1931-D penny made at the Denver Mint. Thankfully, many people knew early on that the 1931-S penny was being made in small numbers and, therefore, saved the coin in large quantities. Many 1931-S pennies that survive are in uncirculated condition. 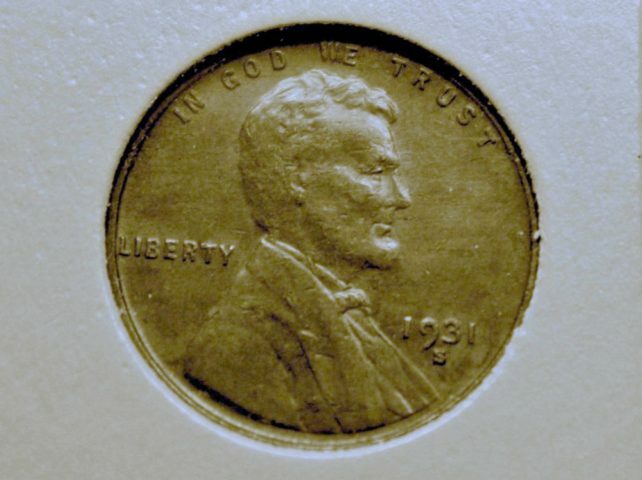 In some cases, it’s actually more challenging to find a well-circulated 1931-S Lincoln cent than it is to locate an uncirculated 1931-S penny! That doesn’t mean well-circulated 1931-S pennies are more valuable than those in Mint State grades. It just means the spread in price between examples in lower grades and higher grades isn’t all that wide. We’ll go into more detail about 1931 penny values below. All 1931 pennies are worth saving. Even a well-worn 1931 penny with no mintmark made in Philadelphia — the most common of all 1931 pennies — is worth significantly more than its face value. As mentioned above, the king of all 1931 Lincoln cents is the 1931-S penny. It’s pretty hard to find 1931-S Lincoln pennies in pocket change these days. But there are still some who make that rare discovery while searching through bank rolls, treasure hunting, and the like. Still, your best chance of finding a 1931-S penny is at your local coin dealer or online. *Values listed above are for problem-free coins in average circulated condition. 1931 pennies in uncirculated grades are worth more and pieces that are cleaned, holed, or otherwise damaged are worth less. What Else Happened When Your 1931 Penny Was Made? “The Star-Spangled Banner,” written by Francis Scott Key in 1814, officially became the national anthem for the United States. 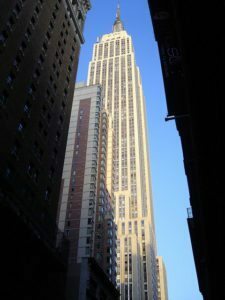 The iconic Empire State Building was completed in New York City. The Whitney Museum of American Art opened in New York City with 700 pieces of work. The capital of New Dehli opened in India. Notorious gangster Al Capone was sentenced to 11 years for tax evasion but was released in 1939 — just 8 years before his death in 1947. “The Thrill is Gone,” a jazz standard, was performed by Rudy Vallee & His Connecticut Yankees and Bela Lugosi’s Dracula hit the silver screen.